Description: 1. "The Stagecoach Museum Gun Collection", by Ray Saign, Richard Donaldson, and Fred Fiet,@1978, 207 page hardcover, no jacket. Personally inscribed and signed by authors to former owner, excellent condition. 2. 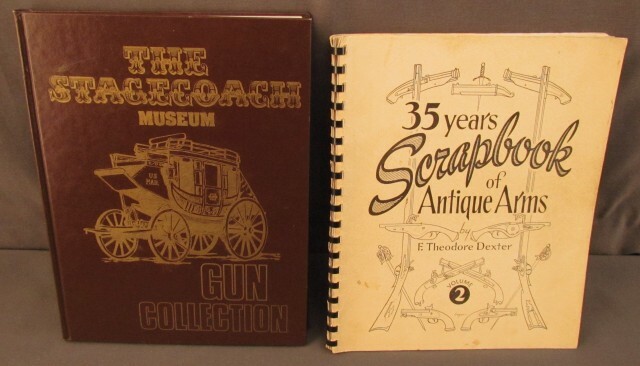 "35 Years Scrapbook of Antique Arms. Volume 2" by F.T. Dexter, @ 1947, softcover with light soiling and wear very good condition. Featuring the Miles Standish collection. Many hours of great reading for gun enthusiasts.